The TC Electronic Dark Matter Distortion pedal is a robust and cost effective addition to the overflowing distortion pedal market, and despite its name, the Dark Matter pedal is more of an all around distortion pedal than a unit solely capable of metal saturation. 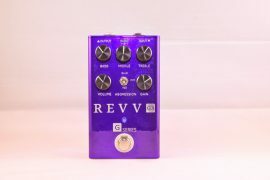 The pedal is designed to sound like a classic, plexi-style amp, and the manual promises “high headroom, low compression, and amazing bottom-end”. Not only are these characteristics of the typical amp sound, as opposed to the more compressed, sag-inclined sounds of pedals, but it seems like TC Electronic is calling out the infamous/famous Boss DS-1. The DS-1 is notorious for its compressed, scooped sound, and lack of bottom-end, but it is such an inexpensive pedal that the DS-1 has become a staple of beginner rigs everywhere. With the Dark Matter Distortion, TC Electronic has provided a more natural sounding alternative to the ubiquitous DS-1 at around the same price point. (The Dark Matter Distortion was originally closer to the price of a Tubescreamer, but recently the price has dropped significantly and you can have one for a very reasonable price). 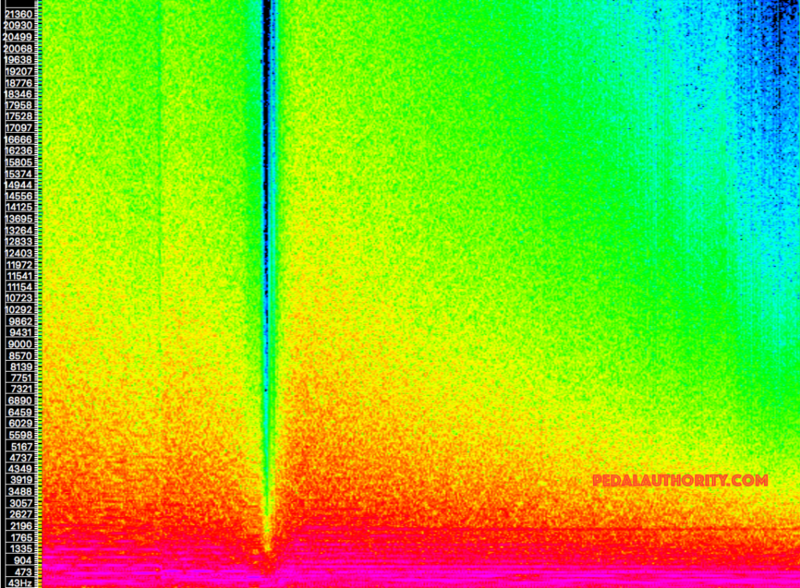 I wonder if it wouldn’t be useful for TC Electronic to rebrand the Dark Matter Distortion so that it appeals to all players, and not just those who play metal. 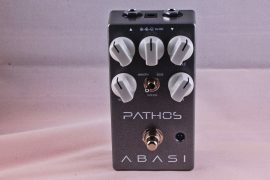 I think that this pedal is something of a hidden gem, and in most cases I would recommend this pedal to someone shopping around for an inexpensive, all around distortion, who might otherwise be inclined to go for a DS-1. It is not that the DS-1 is a worse pedal, but rather that the Dark Matter covers a greater breadth of tones and styles, ranging from low gain tones that sound more like overdrive, to high gain plexi/JCM 800 styled saturation. The TC Electronic Dark Matter Distortion features a four knob interface that allows you control over EQ, saturation, and output level. In addition, there is a mini toggle switch labeled Voice, which allows you to switch between more of a vintage/saggy sound, and a modern/tight sound. The Gain knob seems self explanatory enough, but it is actually a little bit different than that of many distortion pedals. Like the gain knob on a tube amp, the Dark Matter’s gain knob not only changes the level of gain, it changes the character of the gain as well. This is one of the most immediately obvious features that sets the Dark Matter apart from the competition. In this way, the Dark Matter’s gain knob functions more like that of an overdrive pedal. At its lowest gain settings, the Dark Matter delivers chunky, bluesy crunch, kind of like a British amp just over the edge of breakup. 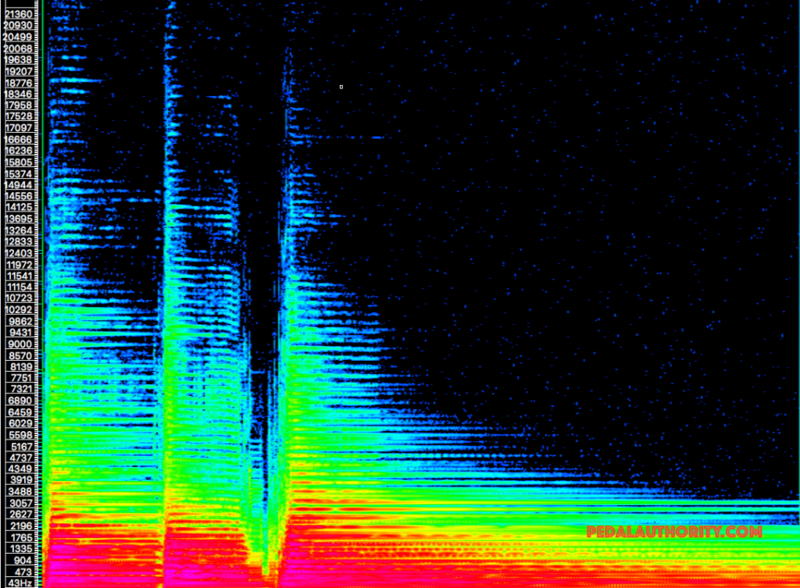 By about the 9 o’clock spot, you’re in electric blues territory. Crank the knob up to 3 o’clock and you are somewhere around early Iron Maiden and Judas Priest. At its fullest point, the gain knob brings you into hair metal and thrash territories (depending on how your EQ is set), with consistent saturation and plenty of sustain. It should be noted that despite the visual aesthetic of the pedal, it does not quite reach the level of gain needed for modern styles of metal on its own. 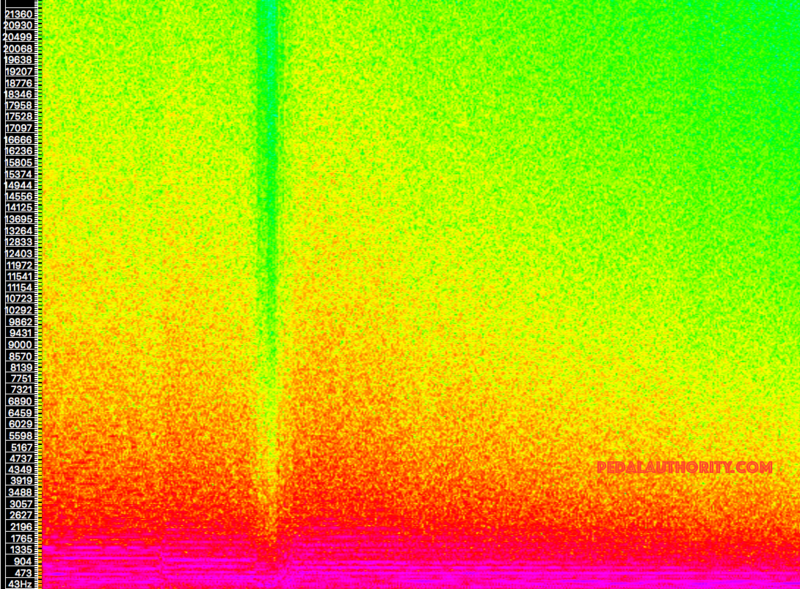 However, place the Dark Matter in front of an amp that is already breaking up, and you will find yourself firmly in the thick of high gain territory. 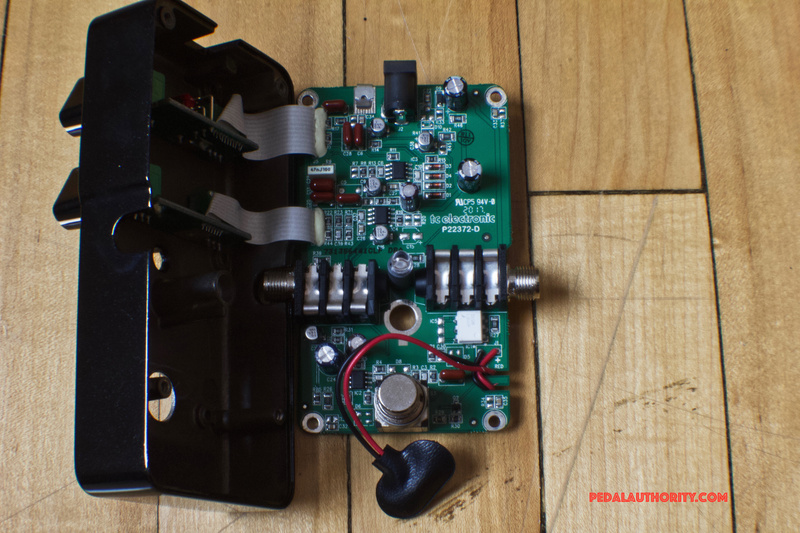 The Level knob adjusts the amplitude of the input signal and allows you to dial in exactly how loud you want your distorted signal to be, which is of course especially useful if you are using the pedal (as opposed to your amp) as your primary source of distortion. Of course, the level knob does provide enough amplitude that when cranked all the way up, it causes the pedal to cook your tubes a little bit and further boost and saturate the signal coming from your amp. The Bass and Treble knobs together make up the Dark Matter’s two band EQ. It seems like these days, EQ controls appear on every other new pedal that is released, and frankly, we are fans of this trend. Every piece of equipment imparts its own flavor onto your composite signal, and therefore it is extremely useful to have the option to neutralize that as much as possible. This perspective represents a more transparent use of EQ. Of course, you can also use the EQ controls more opaquely, and turn the knobs to tighten or fatten up your tone. 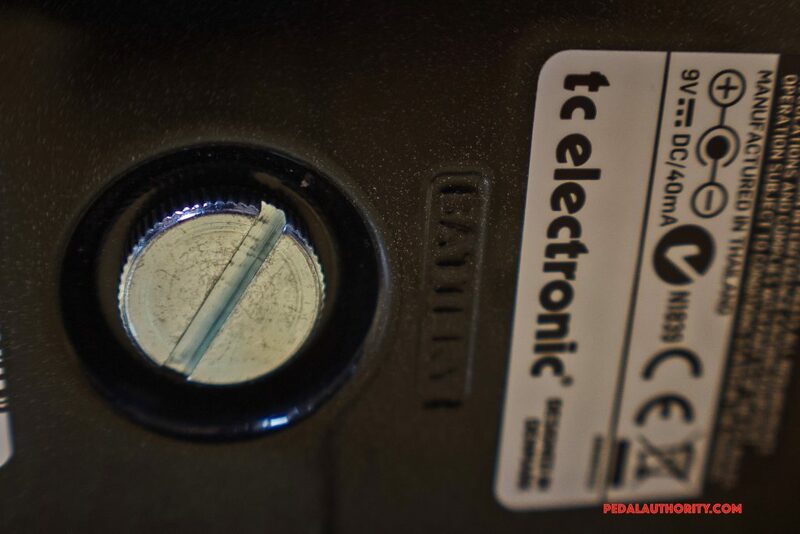 Modern distortion tones in particular benefit greatly from the ability to fine tune the treble and bass frequencies, and the folks at TC Electronic are clearly aware of this, and have designed the Dark Matter to accommodate the most current trends in high gain sounds. Along those lines, the Voice mini switch gives you an additional level of control with which you can fine tune your signal. The switch essentially allows you to toggle between “vintage” and “modern” distortion tones. This switch is definitely more of a control for fine tuning, and sometimes it may be difficult to even tell the difference between the two positions. Officially though, the up position retains the frequency response of the input signal, while the down position adds a bit of low end boost, which can be useful for filling out the frequency spectrum, depending on the instrumentation of the ensemble with which you happen to be playing. No gouging but some high end frequency loss. Basically what one would expect from a mass produced true bypass pedal. Here we have a nice, even saturation gradient. Compare this to the spectrograms that we provided for the DS-1, RAT2, and SD-1, and notice that the evenness of the Dark Matter’s gradient is similar to that of the SD-1 (overdrive), though the intensity is still distortion quality. The result of this is a natural, uncompressed sounding distortion, similar to what you would get from a tube amp. Notice that the only real difference here is a slight increase in intensity in the low end. Depending on where on the instrument you are playing, this may or may not make much of a difference. Just to get an idea of how metal this pedal could get when fully cranked, we decided to analyze the signal with the gain all the way up. 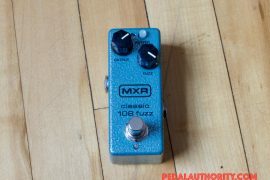 Notice that, as mentioned in the review, even at the highest gain setting, this pedal does not have quite enough saturation or mid presence to deliver modern metal tones on its own. However, this graph shows that the Dark Matter does a fine job of getting that cranked Plexi/JCM 800 tone that is well suited to many styles. 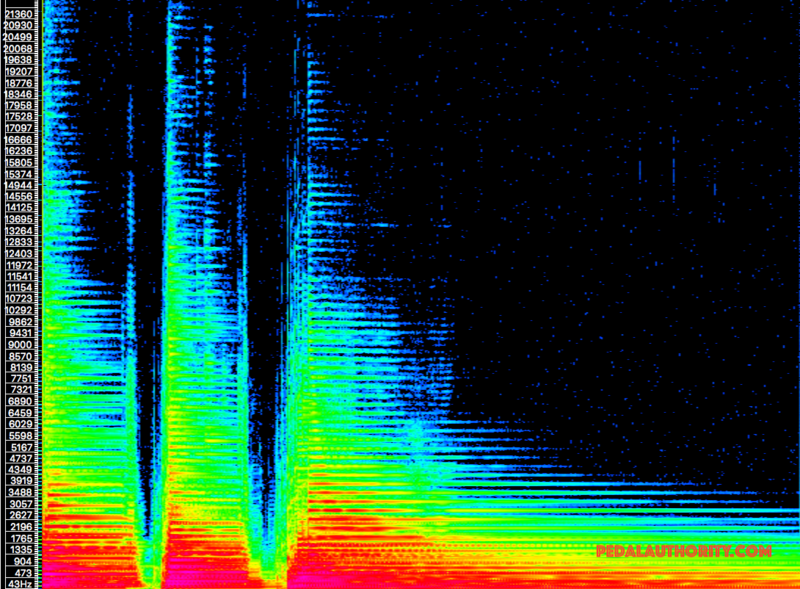 Honestly, with the gain fully cranked, the Voice switch seems to loose its purpose, at least with the EQ set to neutral. There actually seems to be less low end here than with the Voice switch in the UP position. Not that the function of the mini switch is really make or break, but it does seem a bit like an after thought, and it is certainly more effective in the context of the lower gain settings. *Note that these settings will be mimicked (controls at noon, level at full), when possible, in all of our distortion, overdrive, and fuzz reviews, in the interest of developing a standard that facilitates both comparison and understanding of the inherent tonal qualities of each pedal. 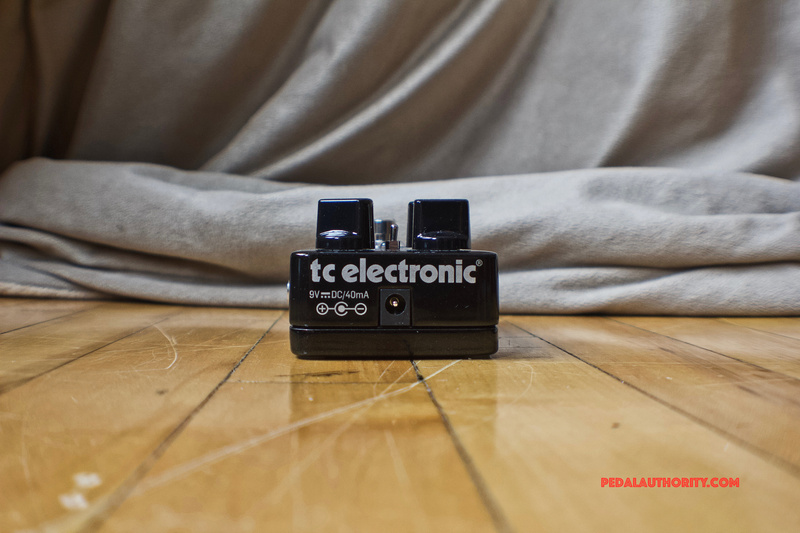 Overall, the TC Electronic Dark Matter pedal does what, in our opinion, an entry level distortion pedal should. 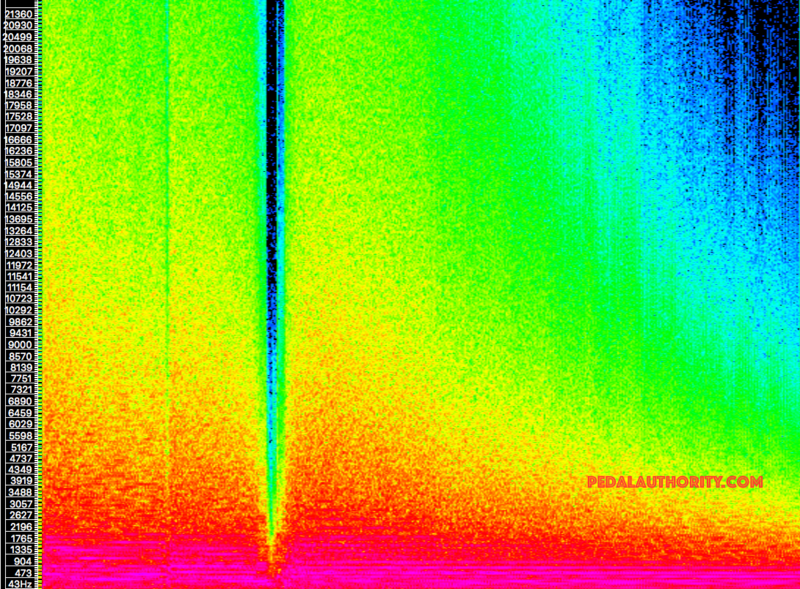 It mimics the sound of a tube amp, while imparting little to no compression or heavily flavored EQ profiles. 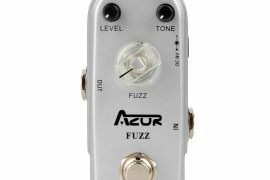 The fact that the gain knob responds similarly to that of a tube amp actually makes the case for this pedal as a learning tool, perfect for the beginner who has not spent money on a high quality tube amp yet, but who nonetheless should get a feel for what the response of a tube amp’s controls are like. 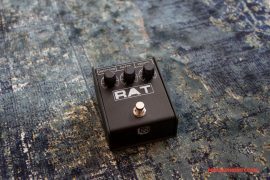 Finally, the level of variety, provided by all of the pedal’s controls, make it an excellent utility distortion, or beginner pedal, since it allows the user to freely explore the vast world of distorted guitar sounds. For these reasons, until someone comes along with something better, we will be recommending the TC Electronic Dark Matter to beginners over the Boss DS-1 distortion. 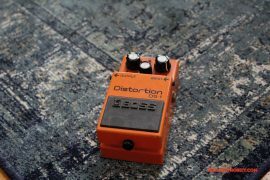 The DS-1 is still a fantastic pedal, and will certainly always have its place in the pantheon of guitar tones, but no longer does it represent the best bang for your buck option when it comes to distortion pedals. 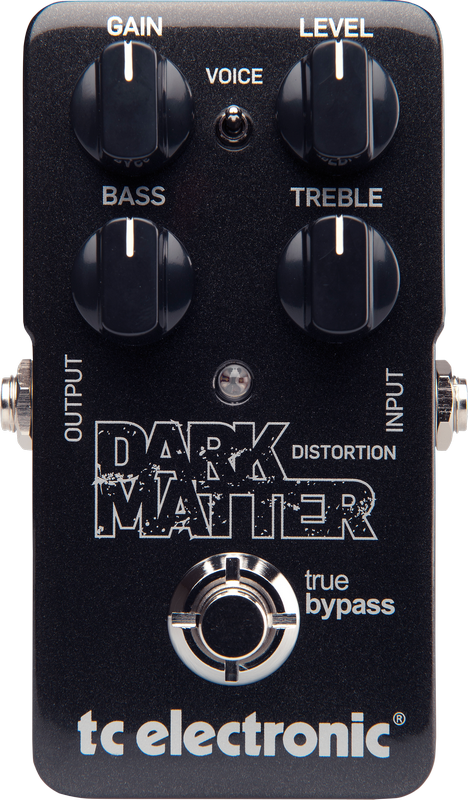 The Dark Matter is simply more neutrally voiced and versatile, making it a perfect introduction to distortion pedals. If you have not gotten the chance to check one of these out yet, do yourself a favor and cruise to your local guitar shop (or go online) and ask to try out the TC Electronic Dark Matter distortion pedal. Just don’t be surprised if you end up getting one for you and one for a friend.